The learner driver insurance offers cover for learner drivers whilst practicing in a car owned by someone else. 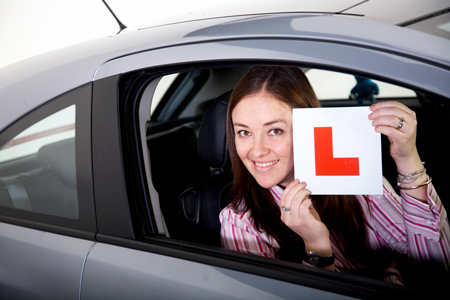 The learner drivers can practice in addition to the professional tuitions with their friends or relatives to aid them with passing their test. But they need to cover themselves under learner insurance policy before they can legally get hold of the vehicle. If you're in the process learning to drive and want more practice, then we can help you in getting learner driver's insurance which is very flexible and short term. The learner insurance policy assists in reducing the overall cost of learning to drive. The learner drivers insurance is for provisional license holders making it extremely easy for young drivers or more mature drivers to get on the road cheaply. Any claim arising from the policy does not affect the car owner's policy or their no claims discount. If you are a learner driver aged in the range of 17-24, it is very difficult to find cheap car insurance because there is a risk involved in insuring those people who are learning to drive, as they have less experience on the road as other drivers. But Quote us can help getting cheap quotes to young drivers and learner drivers. Our learner driver insurance allows a learner drive to drive almost all the cars with the condition that they fall in insurance group 16 and the present market price of the car should not exceed £20,000. Our insurance policy covers the car for all sorts of malevolent damage including robbery, fire and any other accident while the learner driver is driving the vehicle. We also insure you if you get injured while learning to drive and cover you against any damage caused to other people or their possessions. While driving under this insurance policy, you have to be accompanied by a UK driving license holder who has been driving for minimum of three years and is at least 25 years old. It is not necessary that the accompanying driver be the owner of the vehicle. Legal liability for damage to other people's property up to £20,000,000.